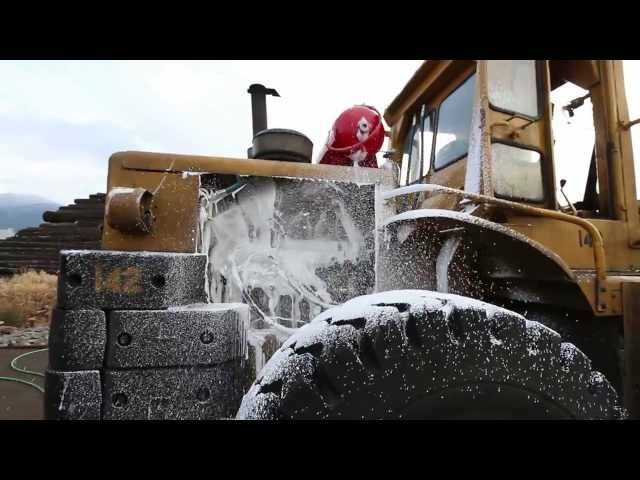 The largest of its family of large capacity SKIDS, the TRI-MAX SUPER-200 is capable of producing a staggering 4,000 gallons of finished foam product. Armed with the same Dual Discharge Capability of the other systems in the Super-SKID series the TRI-MAX SUPER-200 is a powerhouse that allows two operators to attack a fire from two directions. The TRI-MAX Super-200 was engineered to fit in the back of a full-size one-ton pickup truck or a trailer. Outfitted with 100Ft of 1″ Booster line and 100 ft of 1.5″ collapsible hose, the TRI-MAX SUPER-200 is a powerful system in a small package. Loaded Weight: 2915 lbs. Empty Weight: 1315 lbs. 1.5” hose approx. 450 gpm. 1.5” discharge hose approx, 8-9 min. 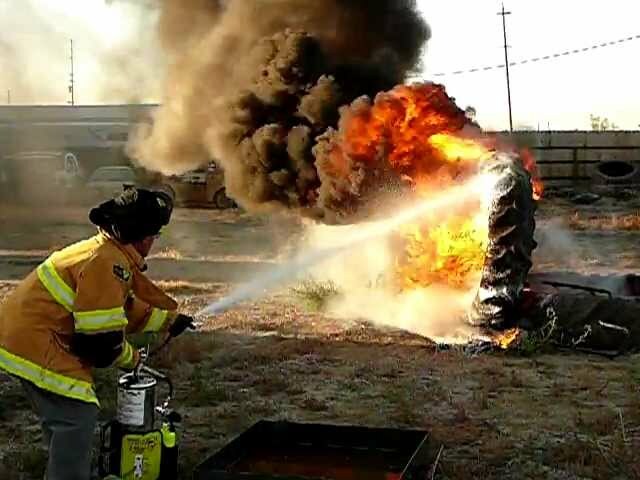 Dispensing Hose: 100 feet of 1” hard rubber booster and 1.5” collapsible hose. 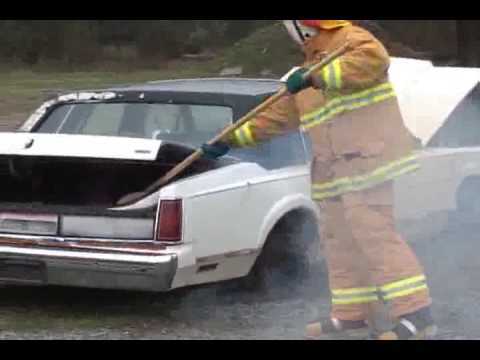 This video shows the new Tri-Max Engine Fire Control System (EFCS) filling an engine compartment with a dense blanket of COLD Compressed Air Foam. The TRI-MAX EFCS is perfect for commercial applications, including mining, loggin and energy production. Tri-Max Fire Suppression Systems are superior to other fire extinguishers due to their cooling and re-flash prevention capabilities. 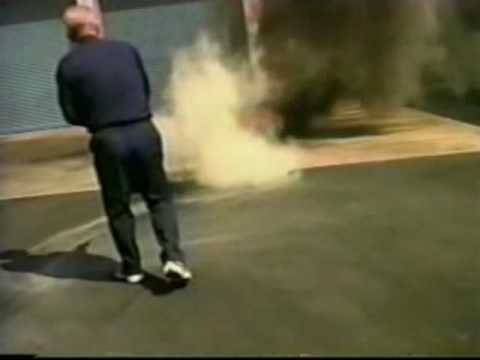 Watch as the Tri-Max Super 280 with Foam Monitor Package puts out a simulated aircraft fire. 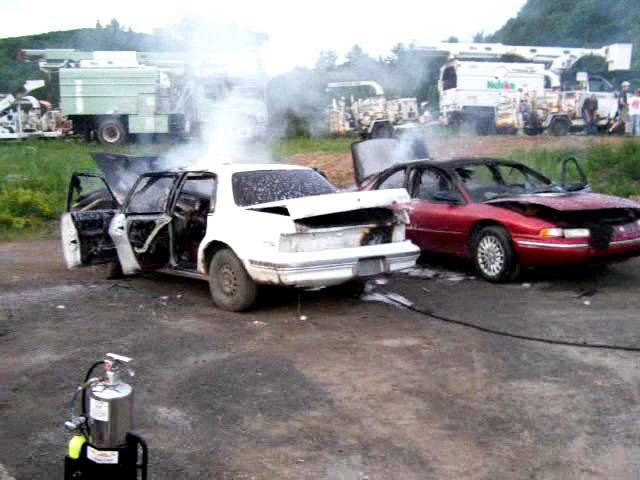 Fuzzy Carr Jr. of Today's Foam Solutions uses the new Tri-Max TM10-UT utility CAFS unit to extinguish a car fire during demo training in Middleburgh, NY. The unit was charged with 3% FireAde 2000 as was the TM30 that members of the Middleburgh Vol. Fire Dept. were evaluating for addition to their rescue truck. Both vehicles were loaded with pallets and other materials to make it more difficult to reach with foam agent. Nice job Fuzzy! Thanks to Middleburgh VFD for your help. This video displays the capability of the Tri-Max Super-280 having the capability to deploy two hand lines. 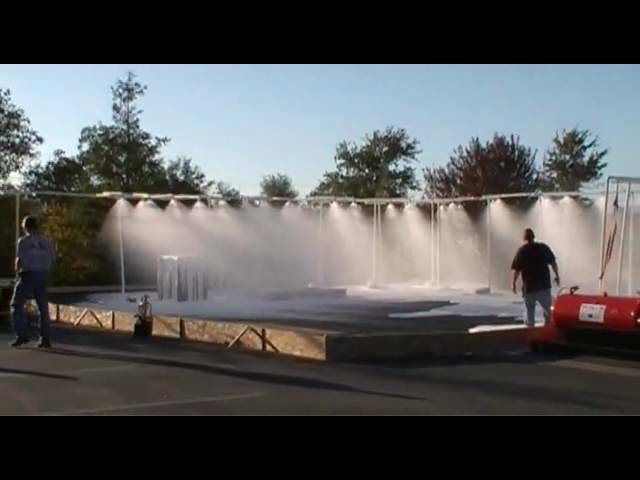 Watch as the TRI-MAX CAFS system generates amazing foam and pushes this through 40 sprinkler heads. 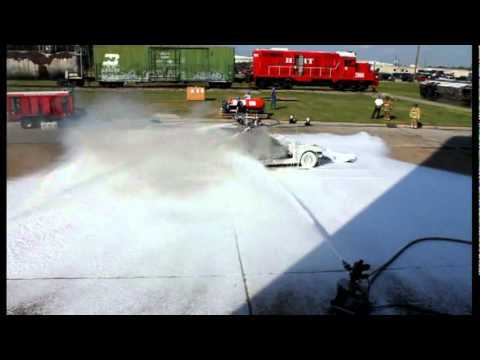 During taping a significant wind was still not enough to reduce the effectiveness of the foam. TRI-MAX CAFS System Comparison. TRI-MAX 30 CAF Portable Wheeled system. 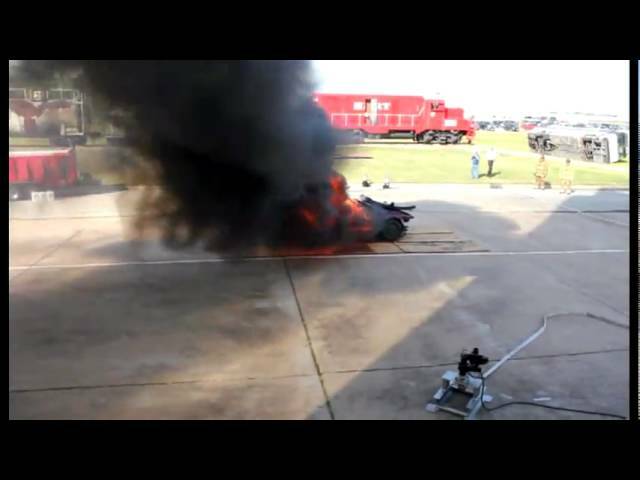 Watch as several pilots try to put out a pan fire during training. 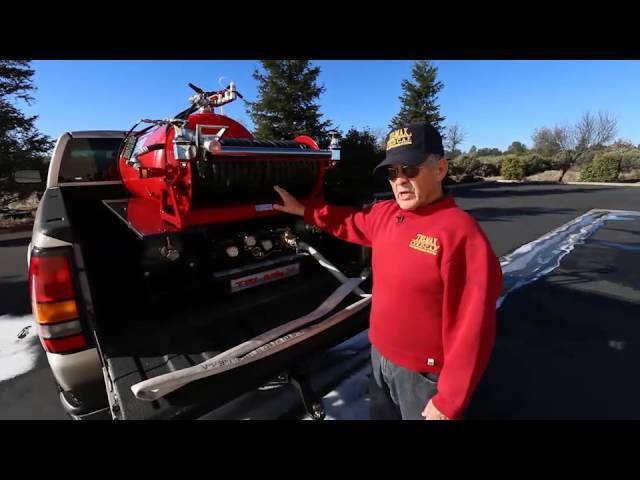 The the TRI-MAX 30 Compressed Air Foam System (CAFS) and the TRI-MAX 3 Mini-CAF System are featured in the video. 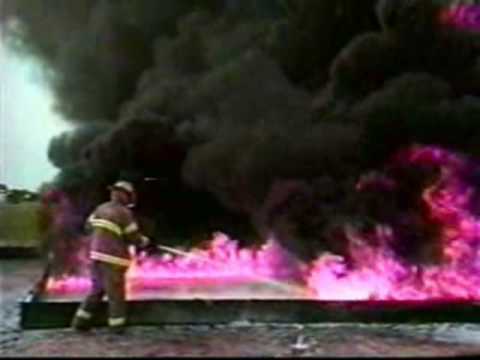 See the TRI-MAX 3 Mini-CAF Handheld Portable CAFS System, a 3 gallon Compressed Air Foam System (CAFS), put out a large 55' x 55' pan fire. This was during a training session with an inexperienced volunteer. 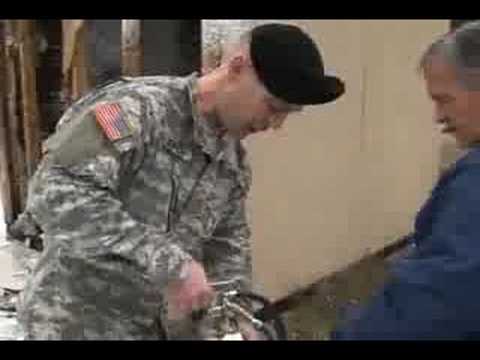 Trimax Demonstration for the US Army at Shasta College Fire Training Area, Redding CA.